Evaluation and Inspection - We'll evaluate your system to take care of minor repairs or address issues. Our inspections include photos and reports along with expert technical advice to understand your system better, or solve problems if they exist. 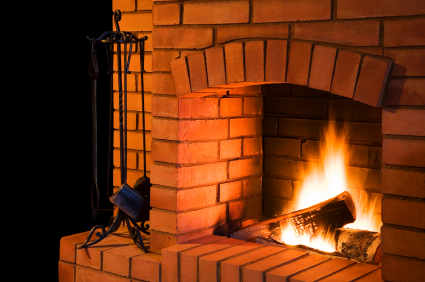 Chimney Sweeping - Your wood burning system is taken care of with a thorough sweeping from top to bottom. We also offer advice for safe and efficient wood burning in your home. Chimney Caps or Crown Coats - We repair or install Chimney Caps or Crown Coats to help prevent moisture from entering chimney tops or to keep out animals or debris. New Products and Installation - Offering installation of new products like, chase covers, top mount dampers, glass doors and stovepipe to improve the quality and appearance of your system. Dryer vent sweeping and inspection - A clogged or malfunctioning dryer vent means clothes won’t dry efficiently, and could present a potential fire hazard to the home. Make sure your dryer vent system runs better, saves electricity and is functioning properly with service from Boyd’s Chimney Sweep.